On 12 October, the Special Deterrence Force (Rada) arrested ISIS member Abdelhakim al-Mashout. Al-Mashout is believed to have been a member of the Libyan Islamic Fighting Group who moved to Syria in 2012 to join Jabhat al-Nusra and then later joined ISIS. In 2015 al-Mashout relocated to Sabratha to establish a safe house to support the training of ISIS fighters. He was critical in bringing in ISIS fighters through the western Tunisian border. Al-Mashout was thought to be dead following US airstrikes on the safe house on 19 February 2016, which killed as many as 50 ISIS fighters. Prior to the US airstrike in 2016, ISIS had established and built up an external operations attack base in Sabratha. 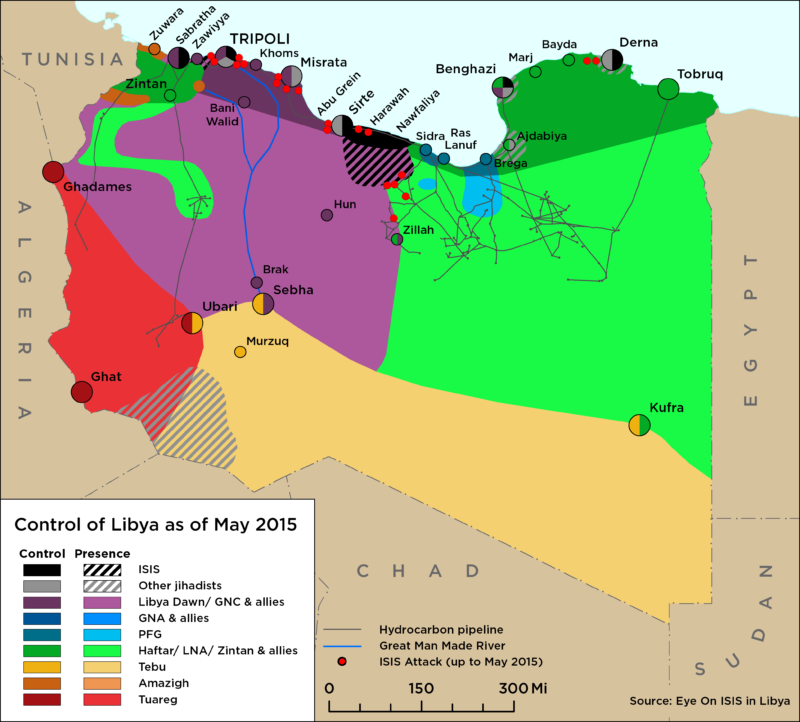 Focusing on facilitating attacks in Tunisia, and composed of a notable number of Tunisian jihadists with notable connections to extremists in Europe, the connected network was responsible for the Bardo and Sousse attacks, as well as the Ben Gardane raid. Additionally, the Manchester attacker Salman Abedi had allegedly had met with ISIS members in Sabratha multiple times and maintained contact with them following his return to the UK. On 11 October, suspected ISIS fighters wearing masks and flying black flags established mobile checkpoints along Qasr Abu-Hadi-Waddan road, 70km south of Sirte. 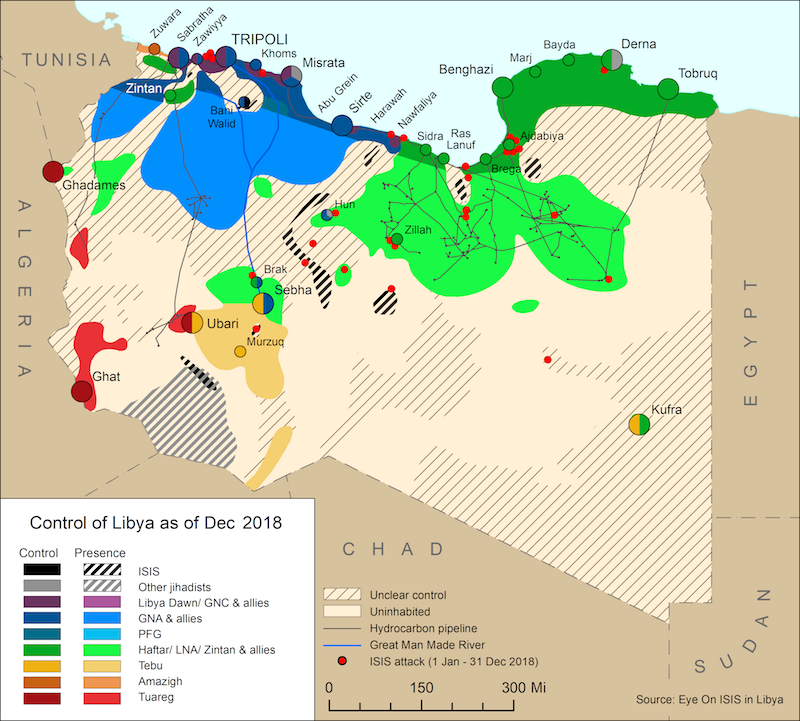 Following these observations the al-Bunyan al-Marsous forces based in Sirte and the Libyan National Army’s 128 Battalion mobilized to the location and clashes reportedly occurred. It is unclear if there were any casualties. On 14 October, the 128 Battalion captured Masoud Belhassen al-Nawfali, who is thought to be the leader of the group in the Nawfaliyah area. On 10 October, the Libyan Red Crescent Emergency team in Sirte announced that it had begun uncovering a mass grave in the al-Thahir area previously controlled by ISIS. As of 14 October, as many as 110 bodies have been uncovered, with the Sirte public prosecution deputy, Abu Bakr Wanis, stating that the bodies date back from two years go. Whether the bodies are those of ISIS fighters remains unclear at this time.